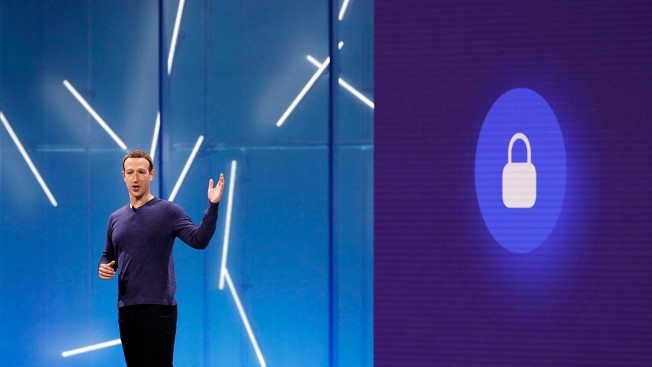 FILE - Facebook CEO Mark Zuckerberg makes the keynote speech at F8, Facebook's developer conference, May 1, 2018, in San Jose, Calif.
A software bug changed the privacy settings of about 14 million Facebook users without their knowledge, causing messages intended for friends or smaller groups to be shared widely with the general public, the company said Thursday. The company said the bug, which was active from May 18 to May 27, has been fixed. Facebook said it will begin to notify affected users Thursday by posting a notification at the top of their news feeds, CNBC reported. "We recently found a bug that automatically suggested posting publicly when some people were creating their Facebook posts," chief privacy officer Erin Egan said in a statement. "We'd like to apologize for this mistake." The issue resulted from Facebook's efforts to allow users to highlight items on their profiles, like photos. The featured items defaulted to public settings, which inadvertently made all posts by the user during the affected time period also default to public. It's another misstep in Facebook's ongoing data privacy issues, spurred by revelations of a data leak that affecting as many as 87 million users.